So, turkeys. I mentioned in an earlier post that there’s been an important new paper about turkeys published in PNAS. 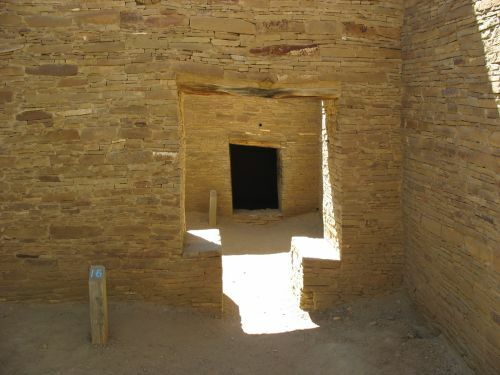 It’s been mentioned in two good media accounts linked by Southwestern Archaeology Today in two separate posts. Unlike most PNAS articles, this one is Open Access, so both the article itself and its supplement are available freely as pdf files on the PNAS website. 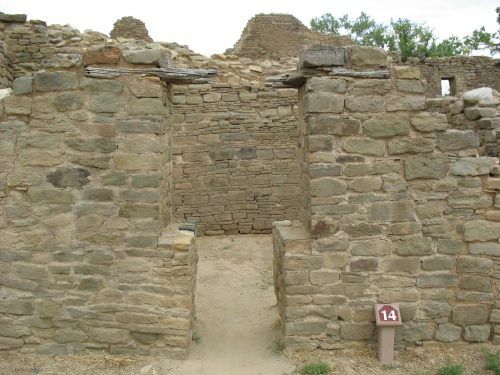 Like so many of the most interesting and important articles in Southwestern archaeology these days, this one is based on the application of laboratory techniques to archaeological material to take advantage of advances in scientific understanding that allow new revelations about the human past. In this case, the techniques come from genetics and involve the analysis of DNA from archaeological turkey remains to determine the breed of turkey kept by people in the ancient Southwest, which in turn could potentially reveal when and where these turkeys were first domesticated. The techniques are similar to those used in a study from a while back on an artifact in the Edge of the Cedars Museum in Blanding made with macaw feathers and squirrel pelt. That study analyzed the squirrel pelt and determined that it likely came from a local species, implying that the artifact was made in the Southwest rather than being imported from Mexico, with interesting further implications for the origin of the macaw feathers. South Mexican turkey (Meleagris gallopavo gallopavo): South-central Mexico, roughly the states of Jalisco, Colima, Guanajuato, Querétaro, Hidalgo, Michoacán, Guerrero, México, Morelos, Puebla, and Tlaxcala, along with northern Veracruz. Gould’s wild turkey (Meleagris gallopavo mexicana): Northwestern Mexico, roughly the states of Nayarit, Aguascalientes, Sinaloa, and Durango, along with eastern Sonora and western Chihuahua as far north as the US border. Rio Grande wild turkey (Meleagris gallopavo intermedia): From the southern Great Plains south into northeastern Mexico, roughly from the southwest corner of Kansas south through western Oklahoma and Texas to the Mexican states of Nuevo Leon and Tamaulipas. Merriam’s wild turkey (Meleagris gallopavo merriami): Most of New Mexico, extending into eastern Arizona and southern Colorado, but, importantly, not in the easternmost part of New Mexico along the Texas border. Florida wild turkey (Meleagris gallopavo osceola): Central and southern Florida. Eastern wild turkey (Meleagris gallopavo silvestris): Most of the eastern US, from the eastern parts of South Dakota, Nebraska, Kansas, Oklahoma, and Texas on the west to the Atlantic coast from southern Maine to northern Florida on the east and from the Gulf coast on the south to the Great Lakes on the north. The pdf of the article has a helpful map that might be more understandable than these geographic descriptions. Looking over the range of the various subspecies of wild turkeys, it seems pretty obvious that any domestication of turkeys in central Mexico, where the earliest archaeological specimens are found, must have been from the South Mexican subspecies. If domesticated turkeys were introduced from Mexico into the Southwest, presumably this would have been the same breed and its DNA would be similar to Mexican examples. If, on the other hand, turkeys were independently domesticated in the Southwest, the most obvious source would be Merriam’s turkey, and archaeological examples would presumably show more genetic resemblances to modern examples of that subspecies than to Mexican varieties. These are the two most plausible a priori predictions for an analysis of the genetics of archaeological turkeys. An additional wrinkle, however, in doing this kind of study is that the distribution of these subspecies has changed over time in very drastic ways. The South Mexican turkey is apparently extinct in the wild, but the domesticated variety used by the Aztecs was imported to Europe by the Spanish conquistadors and quickly became very popular there, eventually being selectively bred into the various modern domestic breeds and reintroduced to the New World by English colonists on the Atlantic seaboard. From there it spread across the continent with their descendants, displacing indigenous turkeys left and right. There are still some relic populations of the North American turkey subspecies that have been genetically sampled, however, and there are museum specimens of wild South Mexican turkeys that are also available for DNA sampling, so these difficulties can be largely overcome. For this paper, the authors compared the DNA of a wide variety of archaeological turkey bones and coprolites from the Southwest to museum samples of wild South Mexican turkeys from the Smithsonian and samples of modern domesticated turkeys from supermarkets. 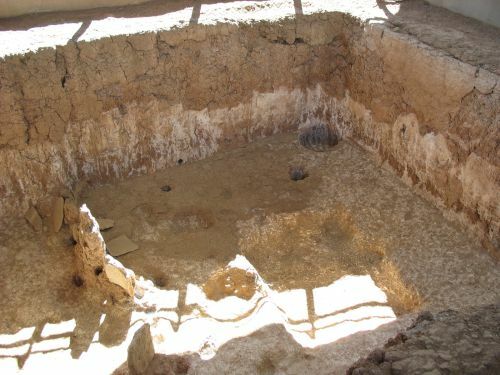 The Southwestern bones came from a variety of sites, including Pueblo Bonito and other Chacoan great houses (specifically Aztec, Bluff, Escalante, Ida Jean, and Albert Porter) as well as other sites both earlier and later. 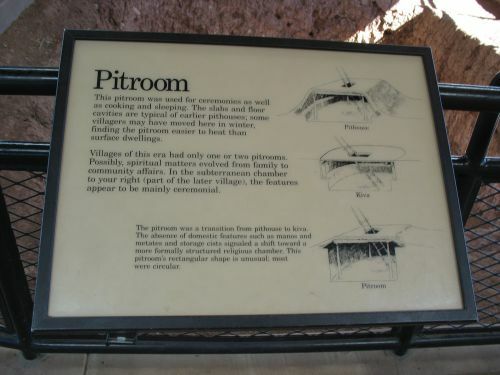 The coprolites all came from the well-preserved midden deposits at the aptly named Turkey Pen Ruin in Grand Gulch, Utah; most are from the Basketmaker II occupation, but one dates to the later Pueblo II/III reoccupation. The results were pretty surprising. As expected, the modern supermarket examples closely matched the archival Smithsonian examples, but the Southwestern examples didn’t match either. This would seem to argue for domestication within the Southwest from Merriam’s turkeys, but while a few of the archaeological examples do match modern Merriam’s examples and seem to be examples of either hunting or domestication of local wild turkeys, over 85% of the archaeological specimens that could be successfully sequenced belonged to a different group that didn’t match either the Merriam’s or South Mexican examples. This group didn’t exactly match any of the other modern subspecies either, but it was closest to the Rio Grande and Eastern types. There’s always some doubt inherent in the results of these sorts of studies, but as these things go this one is pretty clear-cut, and what it says is that the Southwestern examples, which were remarkably homogeneous over the more than 1000 years represented by the samples, came from a carefully managed domestic breed of turkeys descending from ancestors domesticated outside the Southwest and later introduced by people, but not from central or northwestern Mexico. So what does this mean? For one thing, it means that turkeys did not accompany the spread of agriculture north from Mexico into the Southwest. Those farmers who may or may not have migrated north from Mexico and may or may not have spoken one or more Uto-Aztecan languages didn’t have turkeys with them. 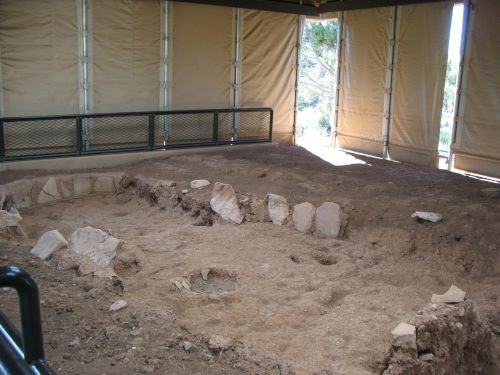 This finding is reinforced by the notable absence of turkey remains from the earliest agricultural sites in the southern Southwest. 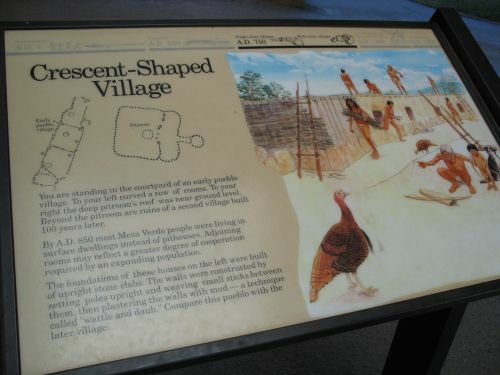 It also means that while people in various parts of the Southwest at various points in its prehistory did use local wild turkeys, though whether they were actually domesticated and kept in captivity or just captured by hunters is unclear, the vast majority of turkeys kept in prehistoric communities came from a specific breed with a single origin. This breed seems to have gone extinct in captivity sometime in the eighteenth or nineteenth century under pressure from the domestic animals, including but not limited to Mexican-descended turkeys, introduced by the Spanish. A few modern Merriam’s turkeys do seem to match the ancient specimens, however, probably the result of domestic turkeys joining wild populations at some point or other. 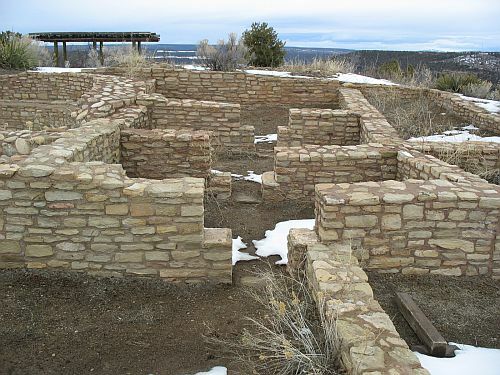 The authors of the article suggest that this may have occurred in part as part of the abandonment of most of the Colorado Plateau around AD 1300, when people quickly leaving their villages and leaving the region may have left their turkeys behind. No way to tell about that, really, but it’s as plausible as anything. The results of this study are surprising and intriguing. They definitely need a lot more data, especially about the genetics of the Rio Grande and Eastern wild turkeys, to be useful in understanding cultural processes. I find the preliminary implications fascinating, though. The idea that turkeys entered the Southwest from the east or southeast, rather than from the south, is kind of mind-blowing, since so little other evidence of contact between the Southwest and the Plains or Gulf coast is known for this early period. The only possible evidence for such contact I can think of offhand is the trade in certain types of shell which seem to have come from the Gulf, unlike most trade shells which came from the Pacific. 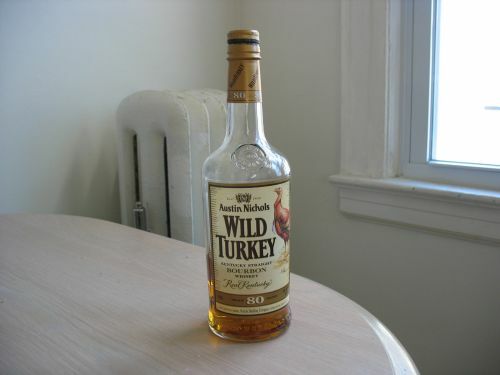 Seems like this turkey evidence might prompt a new look at some of those shells. Beyond that, it’s hard to know what to think about this finding. Like so much else in Southwestern archaeology, it answers some questions and poses many more.